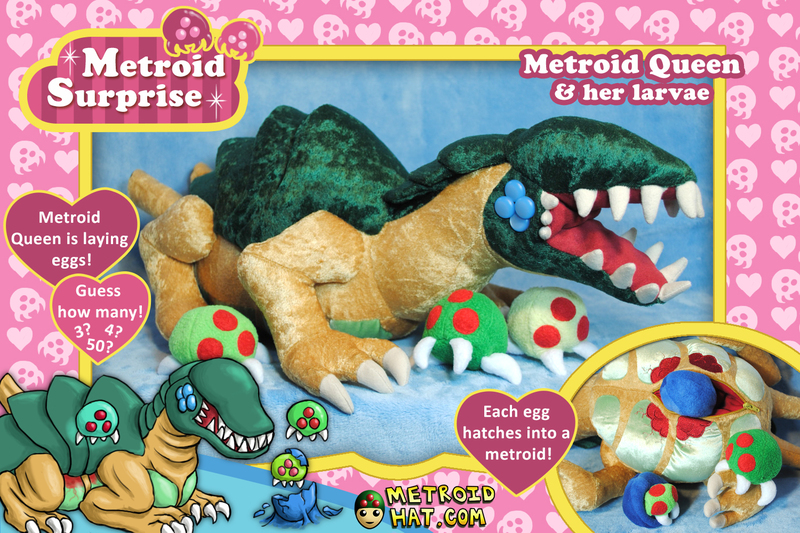 This year, I am donating a metroid queen plushie to SGDQ, a charity speedrunning marathon. If you donate to them on June 26th during the Metroid block, you may win her! She's based on the 90s toy Puppy Surprise. She has a zippered pouch under her containing eggs that 'hatch' into metroids when you turn them inside out! And if you're interested in the in-progress photos of of Her Majesty, I've collected them all on their own page. Say, the left side of my website was looking kinda cluttered with all the bloggy blog buttons there. So I've put them all into their own plushie blog section. There's a link to it at the top of the site. I actually made this Geno plushie bloggy-blog a while ago, but I never bothered to actually... tell anyone about it or link to it. So, if you've ever been interested in the process of how I make a Geno plushie, this is your lucky day! 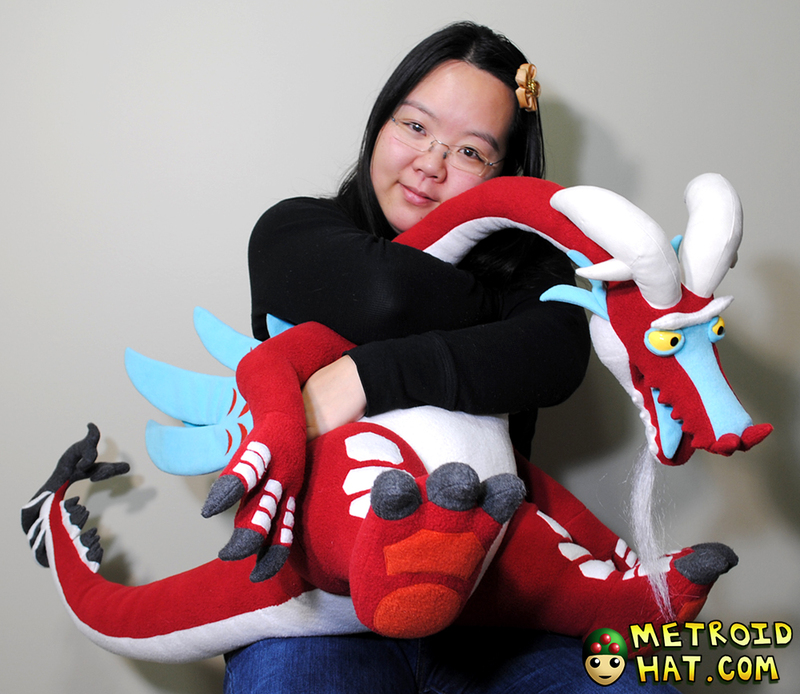 I've always wanted to try my hand at mass-production plushie design, and finally the dream has come to fruition! 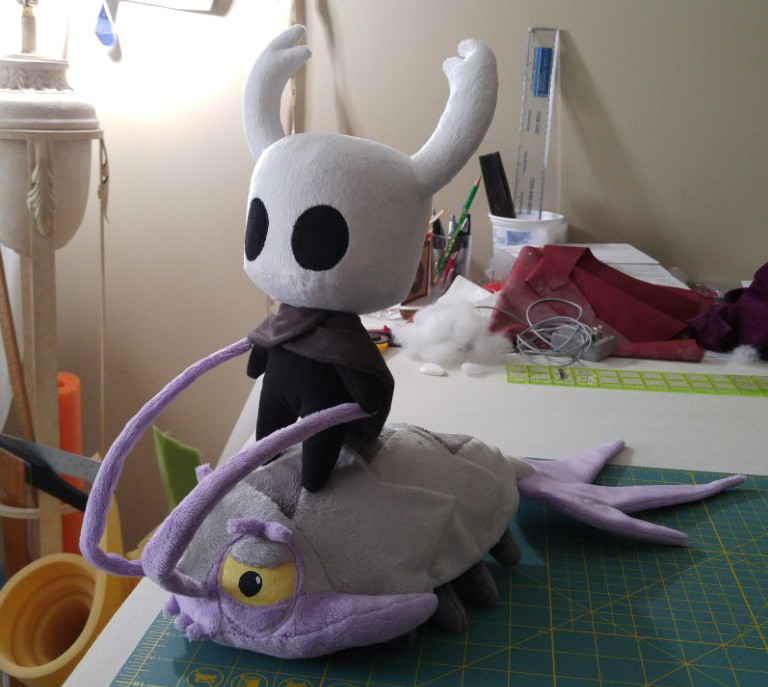 My long-time friends at Fangamer asked me to prototype a Hollow knight plushie. You can preorder him here! Meanwhile, please enjoy this image of Hollow Knight riding on a giant bug. Every year, I make a donation prize for Awesome Games Done Quick, a speedrunning marathon festival charity show thing. This year, I made a Valoo plushie! Y'know, Valoo from Zelda Wind Waker. A few weeks ago, the world's biggest Mother series festival, Camp Fangamer, came and went. 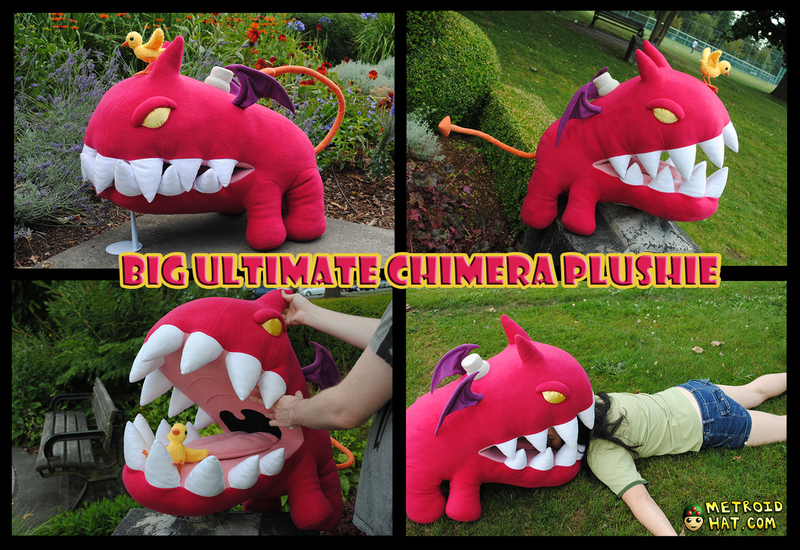 Several months before, I was asked to make a big Ultimate Chimera for their charity auction benefiting Speak Your Silence. Also at Camp Fangamer, I taught a workshop on how to make your own mini Mr. Saturn and fuzzy pickle. The instructions are now available for free in my tutorial section! Introducing: Flowey from Undertale! 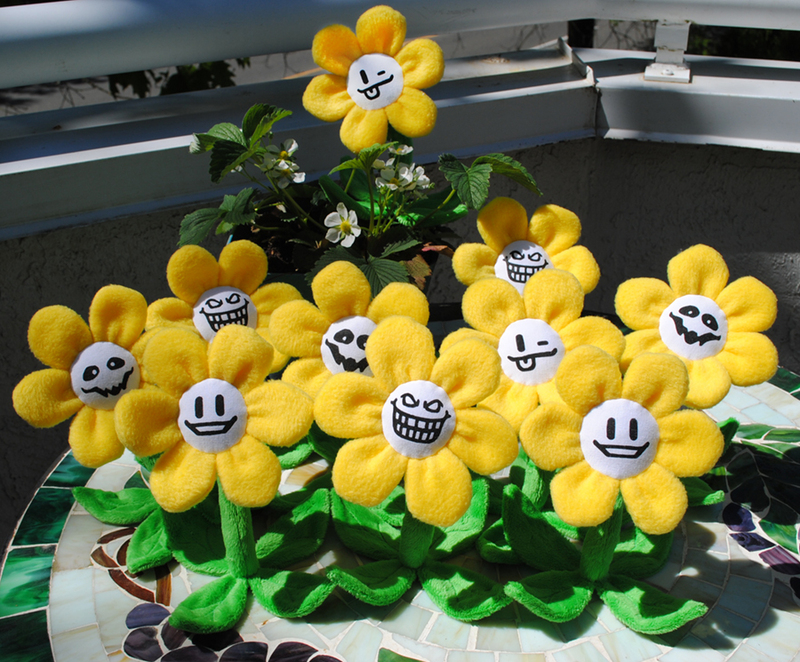 Now in plushie form, and also as a tutorial showing how you can make Floweys yourself. Both are available for purchase on my Etsy site. In other news, I've finally joined 2010 and got myself a Twitter! For the most up to date Metroidhat plushie news, including in-progress pictures and release announcements, subscribe or like or whatever you do on Twitter. It's been almost 7 years since I've made a new page of Broken, my dark Mother 3 comic. But after going to Camp Fangamer, an amazing Earthbound convention, I've become newly inspired to add some content! I'm almost done page 32, so expect at least that much before I put this on the backburner again for another 7 years. In the last few months, I've bought an apartment and set-supervised a movie. That left precious little time to work on this elaborate Ridley plushie! But it is now finished and finally there is time to breathe. I'm gonna to update the progress blog roughly once a day until I'm done, which should complete it by the beginning of Awesome Games Done Quick. Remember, AGDQ is starting on January 4th! You may be able to win this Ridley plushie for yourself! This button will take you to the gallery of finished Ridley pictures. Enjoy!